The Airforce 1 is an attractive pilots watch, which has an exceptionally stylish appearance. With a modest 316L stainless steel case measuring 41.5mm x 12mm the watch is designed to make a subtle statement. What makes this timepiece so extraordinary is the meticulous attention to detail. The elegant blue dial works in perfect contrast with the white numerals, indexes and sub counters. 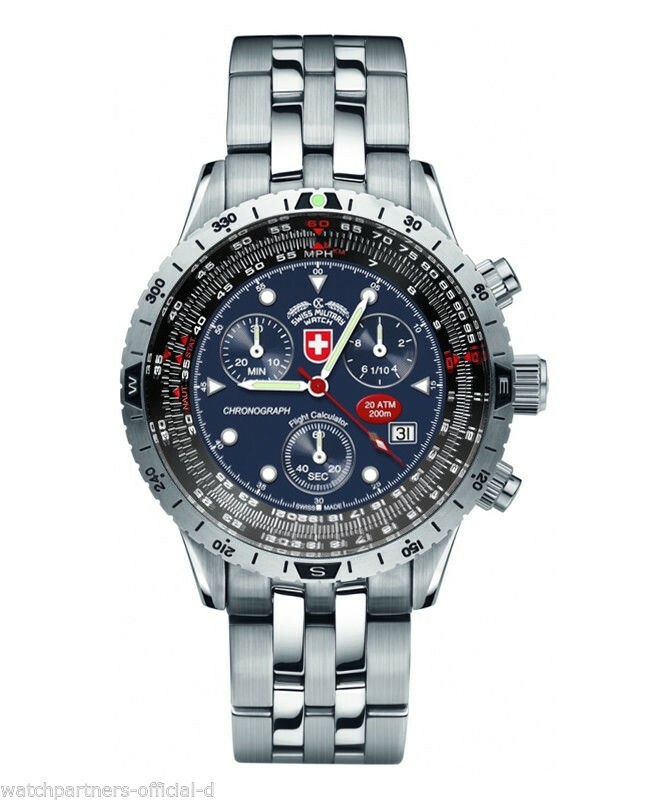 Other impressive details include a rotating bezel (with flight calculator), anti-reflective sapphire crystal lens, steel bracelet and second time zone. At the heart of the watch is Swiss made 13-jewel Ronda 5030D quartz movement. The Airforce 1 features a stainless steel case & bracelet.